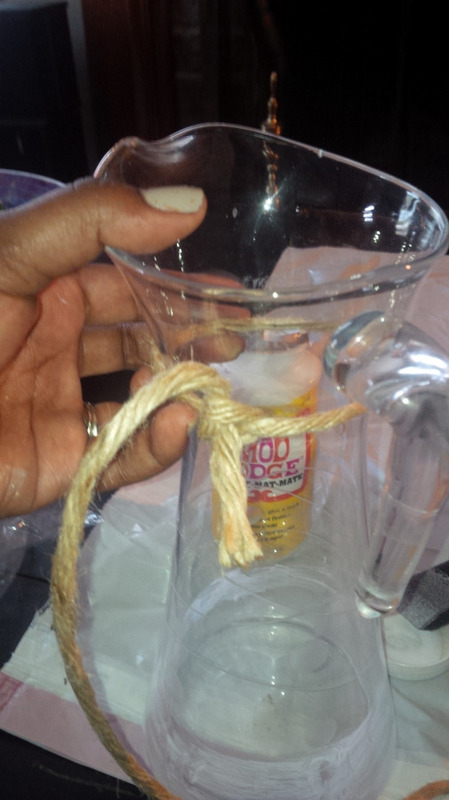 Looking to refresh an old vase, bowl or recycle all those empty wine bottles to create centerpieces? Very easy to do. I use Mod Podge for all of my crafting projects around the house. It acts as a glue - sealant - varnish in one. It'll stick to just about anything. You can apply it on the underside of what you're attaching, and also put it on top of what you attached to seal your project and add shine. There is all sorts of mod podge too. Check out Mod Podge Rocks This is a great board on Pintrest showcasing all of the projects that can be done with it. I had this old pitcher that I was really not using much collecting dust in a cabinet. 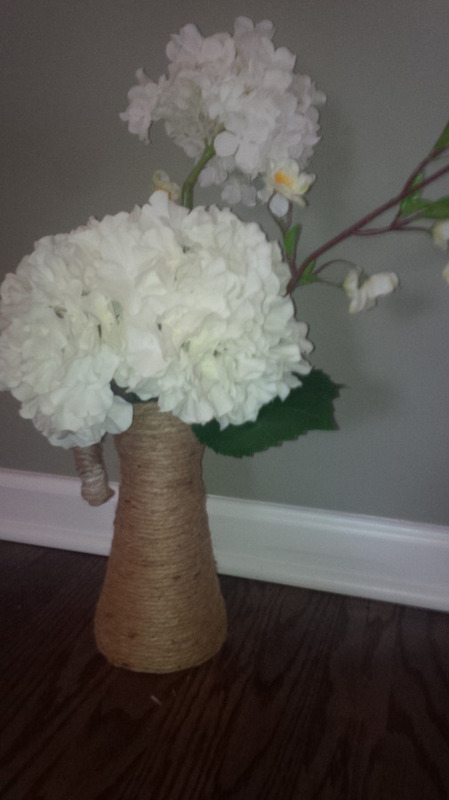 I needed a vase to put my silk flowers from Michael's. 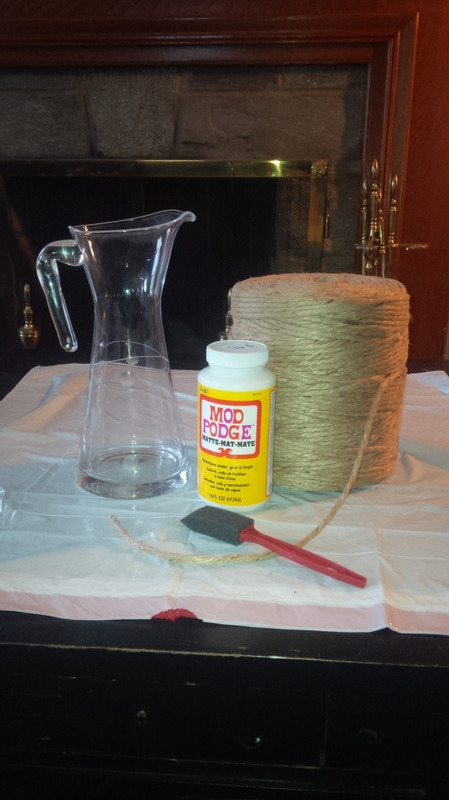 Took some Mod Podge, a sponge brush and twine to revamp this item. 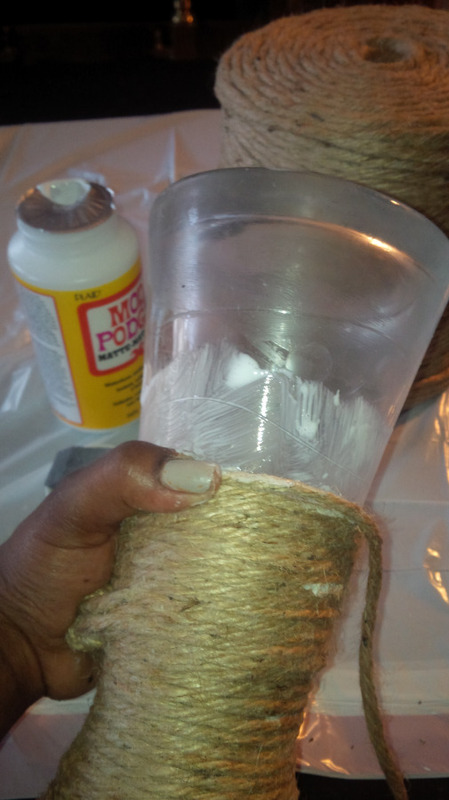 I wrap around the twine using the glue. Got a bit messy along the way...and let it dry. The glue came out white but dried clear after. So pleased with my craft!!! I am going to use this glue everywhere. Add a comment and let me know if you love Mod Podge too!